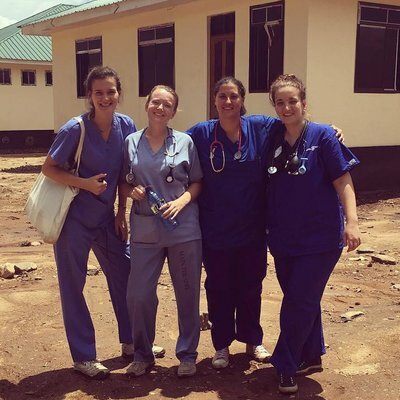 Let me start by saying doing my nursing elective placement in Ghana was the best thing I have ever done. It was the most emotionally challenging yet the best experience of my life. I have seen things I never thought I would see, and experienced a life changing trip. I have fantastic memories that I will treasure, and have made some fantastic friends that I will keep forever. 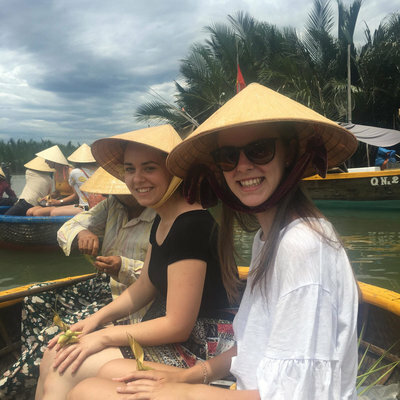 I chose to travel with Work the World as a couple of my friends had used them and said it made things very easy and took a lot of the stress away from organising an elective placement, allowing you to continue to focus on your studies. This is true, it is very easy to organise - the UK staff were helpful and friendly and you even have a timeline on your MyTrip so that you can keep track of your progress. Initially I was very nervous and did not know what to expect. Arriving in Accra is very different to our airports and extremely busy, but thank goodness for Ezekiel the Programme Rep - he was waiting for us as soon as we came through customs, greeted us and took care of us very well from that moment until we returned home three weeks later. He provided us with the local orientation and gave us all the information we needed, he was very helpful. All the Work the World staff in the Ghana house were amazing, they all went above and beyond their call of duty for us, and nothing was ever too much trouble. The food was also good, Dorcas was happy to get us whatever we wanted, and not forgetting Alhassan’s bbq skills on a Thursday night... bbq night was a highlight of the week in the house and all the students and staff come together to eat and dance. It is good fun! My placement in Ghana was on a male surgical ward. 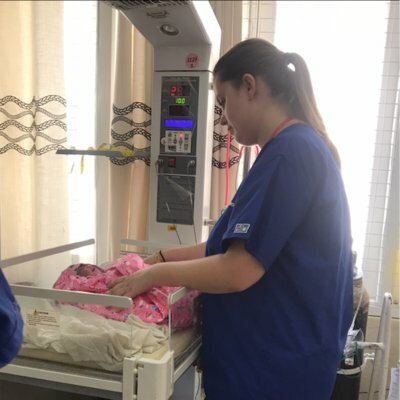 It mainly involved ward rounds with the doctors in the mornings, examining of patients, dressing their wounds, getting them ready for surgery and taking them to theatre. It meant I had the opportunity to follow a patient’s journey to theatre, recovery and back to the ward once stable. There were some interesting cases on the ward and I learnt a lot from the surgeons as they were keen to teach us. They liked to ask us questions of how their care differs from ours in the UK, so it was nice to share information and sometimes see them try to put it to into practice. After the rounds had finished and jobs were done, Joseph, the Ghana Programme Manager arranged for us to to visit other wards and clinics. He was really helpful and wanted us to make sure we got the most of our placement. I visited neo natal intensive care unit (NICU), which was very interesting. The doctor explained what was wrong with the babies and how they were trying to treat them. I also visited the labour ward and was lucky enough to help monitor the women that were in labour, timing their contractions, listening and timing babies heart beat etc. I was also given the amazing opportunity to witness three births, one of which being twins which was very exciting. I spent another day at the HIV clinic, which was so informative, and is probably where I learnt the most about the problems they face in Ghana and how they try to deal with it. This is also one of the only places I found where they tried to provide holistic care, aiming to look after the patient physically, psychologically and socially. It was refreshing to see this as in the rest of the hospital they only seem to use the medical model ‘find the problem and fix it’ attitude. However all doctors I worked seemed passionate and did the best they could with the resources they had. The last week of my time in Ghana was spent in a rural village. This was the highlight for me as it was very ‘hands on’. My duties at the clinic involved carrying out vital signs, examinations, participating in anti-natal education classes, baby weighing and immunisations, as well as working with the medical assistant in his treatment room. The host family were fantastic; they welcomed us and we immediately became part of that loving family. They catered to our every need; nothing was ever too much trouble. They had 5 children who were very friendly, and we spend a lot of time with them - they were good fun and immediately felt like my younger brothers and sisters ;0). Our village guide was called Deborah and she was outstanding. As with all the other WTW staff, she also went above and beyond her call of duty to ensure that we were happy and enjoying our time in the village. Deborah arranged and took us on trips to show us some local trades, which was really interesting, and helped us to feel part of the community from the moment we arrived. Finally, when we were not working, the house mates and I spent a lot of time at a very beautiful beach, about a 10 min taxi ride away. It was the best place to relax and catch some rays after work. We also visited an orphanage nearby and spent some time talking to the children, playing with them and providing them with some gifts. It was very moving spending time with them in their home, although they had very little they seemed happy and well looked after. It was an honour to have the opportunity to visit and meet them. At the weekends we visited Kakum National Park, which involved a jungle night walk and sleeping in a tree house, then the canopy walk the following day. It was stunning - the views are lovely. The next weekend before the village experience we went the stilt village, a fascinating place and just like what my image of ‘Africa’ was really like. It is interesting to see how these people live. The canoe ride to get there is also very beautiful and relaxing. To end this lovely trip we stayed at the amazingly beautiful Axim beach hotel. It is breathtaking and definitely a highlight of my trip - the beach and the views are out of this world. Both the trips were arranged through advice of Ezekiel, who really is fantastic and knows everything you need to know. He made sure we had reliable guides and were taken care of until we got back to the WTW house. It made us feel that travelling in Ghana is safe and stress free - we just had to turn up and enjoy it! The only advice I give to any future students is to make sure you take walking shoes if you go to the jungle as it can be quite muddy and there are biting ants ;0). Apart from that, relax and enjoy every moment as it goes past too fast.